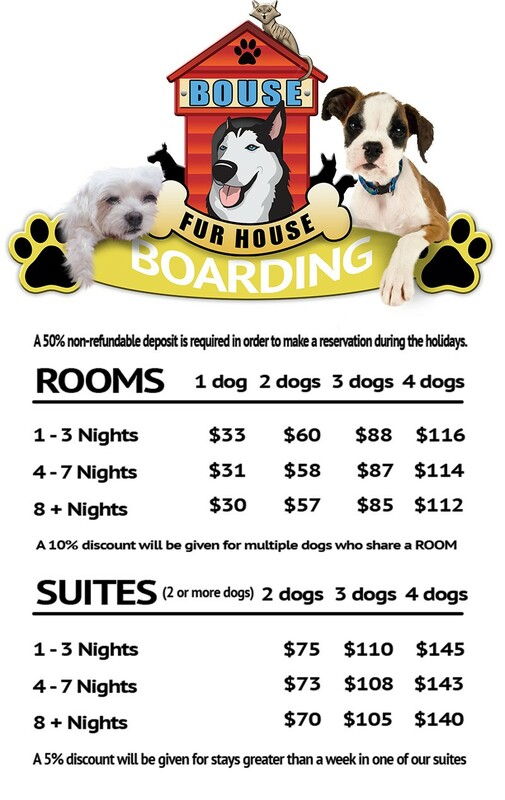 Boarding at BOUSE FUR HOUSE is a healthy alternative to leaving your dog in a standard kennel. Instead of being cooped up all day while you’re away, ALL BOARDING GUESTS PARTICIPATE IN OUR “All-Day Cage-less Doggie Daycare” for the entire day. The only time your pooch will ever spend time in his run or “cage” is meal time, nap time, and bed time. When bed time finally comes around each night, after a full day of doggie playtime, your dog will want nothing more than a good night’s rest. Please label your belongings. We are not responsible for lost or destroyed items. We will feed your dog wholesome, mouth-watering meals, or better yet, we will feed them their own food, to keep them on a diet they are used to. 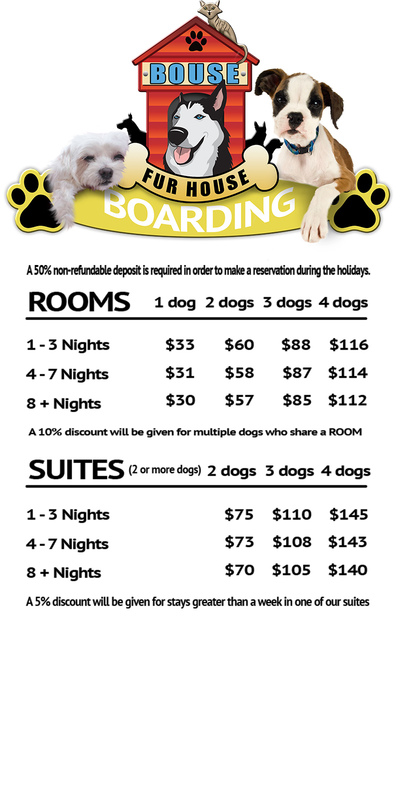 Each dog must satisfy all “Entry Requirements” before boarding reservations can be made.